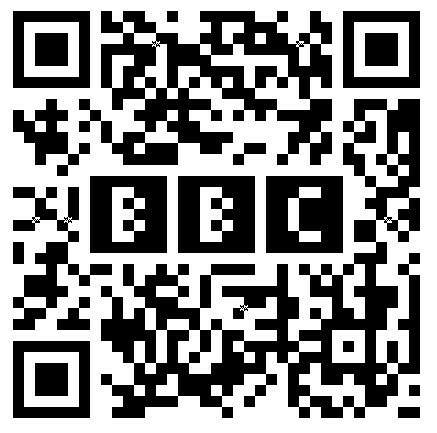 Where did all the BBC programme metadata go? The Infax catalogue online | O'Really? I wonder whether the cataloguers/metadata people at the British Library Sound Archive might have some idea? Or the BFI Archive? Both include many programmes from the BBC. It’s a shame the programme catalogue isn’t live, but I can understand, and maybe explain, why. It was my decision to pull it offline, after it became apparent that it contained at least one really potentially very scary error. Not an embarrassing error; a really scary error. The kind of error that is not a problem when INFAX was used internally within the BBC, but is not remotely acceptable when surfaced in Google. It was also a class of error that would prove very very hard to predict, spot and hence eliminate (needle in haystack). So pulling the catalogue offline was a very easy decision, if a very sad one. Bit nothing ventured, nothing gained. I left the BBC in 2007, but I can’t say I’m surprised it’s still not reappeared. The investment required to check such a big db would be significant, and probably be better spent starting again, since INFAX is at root an overloaded 70s era db, albeit one curated with love and care by BBC librarians. For the record, lovely though all the people you credit are, the kudos for the catalogue belongs to Matt Biddulph – he built it all alone, while Ben Hammersley did the minimalist paint job. The rest of is cheered from the sidelines. For the record, it cost less than £10k. Matt didn’t know his own worth in those days. Thanks Tom, that’s a mystery solved. I’m curious to know exactly what these “really scary errors” were. I hope that the BBC Archive can put much more metadata online, it all seems a bit minimalist at the moment. Why do you consider /programmes to be “slightly impoverished” ? The same system provides a page for every programme the BBC has broadcast since 2007 – ranging from local radio shows to the Archers as well as some of the BBC’s biggest brands like Doctor Who. On top of that, it publishes different representations of each page: desktop, mobile, rdf, json and xml. I agree that more could be done to enable browsing by contributor as you describe. But /programmes is a fantastic resource which deserves more love! Poor is a relative term and slightly impoverished was probably a bad choice of description. I wasn’t dissing /programmes or the archive, just pointing out ways they could be richer than they are already. I’d love to see more metadata about BBC programmes, having seen the riches that were in the Infax catalogue. Obviously there are some issues (see comments and tweets above) with Infax, but perhaps a cleaned up lightweight version of Infax could be incorporated into /programmes? The different representations and platforms from the BBC are all great, especially when compared to what other large media organisations are providing. So my post above was mainly mourning the loss of Infax to the outside world and wondering where all the metadata had gone, I’ve found out now, and look forward to more metadata in the future.